Preheat oven to 350 degrees. 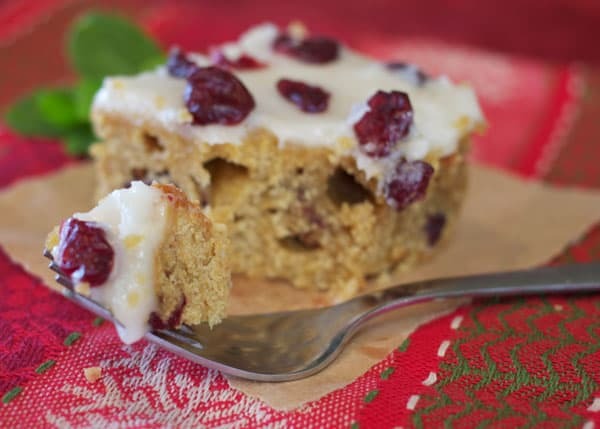 Mix all cookie ingredients, adding the cranberries last, and pour into a 9×13 inch pan. Bake for 20 minutes. While the cookie is baking, mix up your frosting. Whisk together the cream cheese, vanilla, and lemon juice first and then mix in the powdered sugar 1 cup at a time. 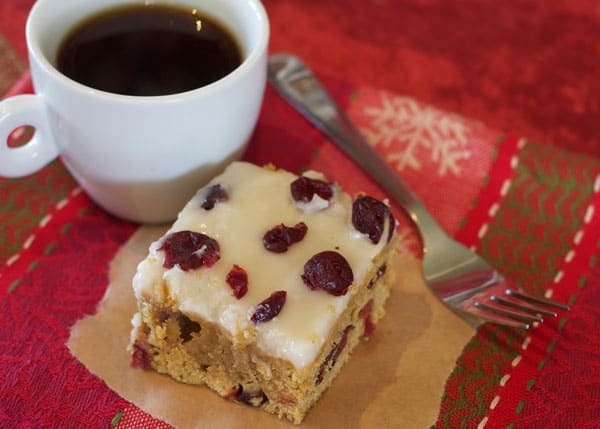 Once your cookie is cooled, add the frosting and sprinkle 1/4 cup dried cranberries on top. Chill before slicing.